A very rare Atlantic hurricane moved towards Europe and swept into the Iberian Peninsula this weekend, hitting both Portugal and Spain. By the time hurricane Leslie made landfall, it had been downgraded to a tropical storm but still managed to be classified as the strongest weather system to hit since records started in 1842. 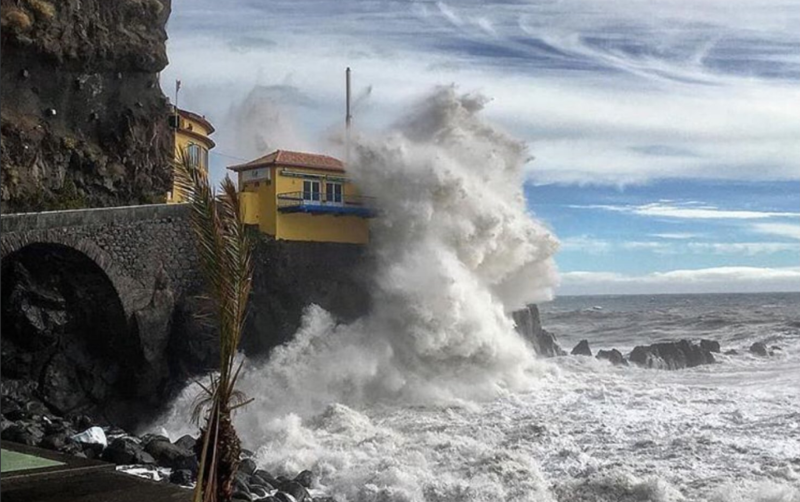 Portugal, where the storm passed during the night of Saturday on Sunday, took the brunt of the effect with the capital Lisbon and the districts of Coimbra and Leiria suffering widespread damage. Further northern cities like Aveiro, Viseu, and Porto were met by gale force winds of up to 125 miles per hour. The smallest of the two Iberian countries had already experienced a fair share of extreme weather this year after the highest temperature ever recorded in Europe (48.5°C) was almost broken during the longest heatwave in decades and the nation saw many forest fires as a result. A resident of Lisbon said: "I have never seen anything like it. The town seemed to be in a state of war, with cars smashed by fallen trees. People were very worried." At a certain point, 300,000 people were left without electricity on Sunday. The northern provinces of Spain were met with heavy rain as of Sunday afternoon when the remnants of the storm moved inland. Weather records show that over the past 176 years, only Hurricane Vince made landfall on the Iberian Peninsula when it hit southern Spain back in 2005. Just remember all this could have been prevented by sending a check to Al Gore. The sun is the source of everything our weather does and is a direct tool of the God of creation to divide the night from the day, times and seasons. Nothing about tilt, inversion or man made anything. One other thing that will tell if you actually believe the Bible……the sun, moon and stars were created after the earth.